Saloca in Wonderland: Walt Disney World - 5 things to do before you go! 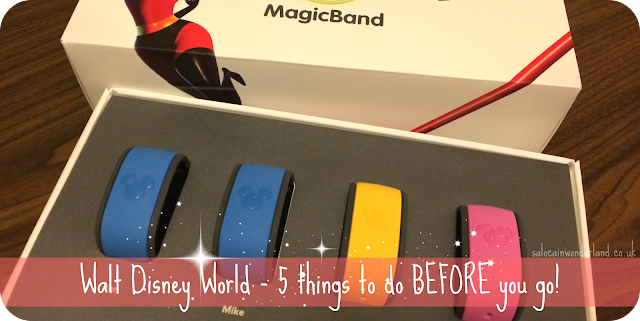 Walt Disney World - 5 things to do before you go! I’m not talking printing off your reservations and boarding passes and making sure anyone staying home has a copy of your passport just incase. I’m kinda hoping you’ve already done all of the pre-trip sensible things? Have you? Good! I’m talking about the fun and creative things you can do before your Walt Disney World trip to make it extra special and extra personal! A pimped out more-than-your-average Magic Band is going to set you back close to $50, more if you go for a Limited Edition job - and why would you want something everyone else has got? I’ve seen some amazing tutorials online for blinging out your Magic Band with some glitter and nail polish but if your not in the USA, you won’t get your Magic Band until check-in. So, a quick, easy, and surprisingly cheap way to customise your band is with a vinyl wrap! Magic Your Band is an amazing site with hundreds of vinyl wraps to choose from that are waterproof, sunproof, easy to apply and downright cute to boot! Create your own luggage tags! We all want to identify our bags at the airport; suitcase belts, balloons (if only! ), ribbon from last year's birthday cake (true story), whatever it takes so you don’t walk off with someone else's undies. Luggage tags can be a bit samey can’t they? 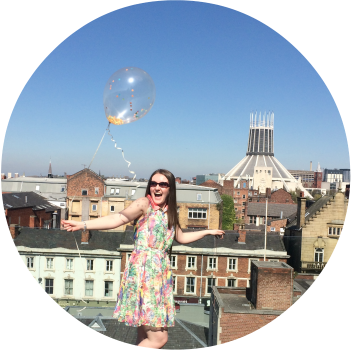 Creating your own are so easy, all you need is the Internet and a colour printer! Get creative, make them unique to each persons case - and if you have access to a laminator, they’ll be baggage-handler durable too! You can find some amazing images just by searching on Pinterest and using free software like PicMonkey to resize and add passenger details, you’re sure to create a waiting-at-the-baggage-carousel conversation starter! Postcards to send (names and addresses! ), gifts to buy (correct spelling of babies names if buying ornaments - you don’t want to bring home Sarah without the H! ), snack goals, or the things you absolutely must do come hell or high water. Be it in your travel diary or on your phone, have your lists ready and waiting. This is something I love to do either in the airport prior to departure, or during the flight. A tiny bit of a sensible one sneaking onto the list here! If you’re staying at a Walt Disney World resort, then it’s well worth getting in touch around a week before you check-in! That’s when the rooms will be getting allocated so, if there’s a particular mansion at Port Orleans Riverside you want to stay in, or you’d really love a savannah view room without paying the extra $$$ at Animal Kingdom Lodge - let them know! Likewise, if you’re celebrating anything, let them know that too! Disney love a celebration and are usually super helpful, accommodating and full of surprises when it comes to making your celebration something really special! Always be polite, don't demand, and don't expect to get everything you've asked for - but it's always worth a try! What are the more fun things you do before your Disney trip? I never had a magic band but they seem so cool. Need next time. I'm so jealous of you. I love them, it's so much easier and cute to friggin boot! Put the Mickey to the Mickey never gets old haha!